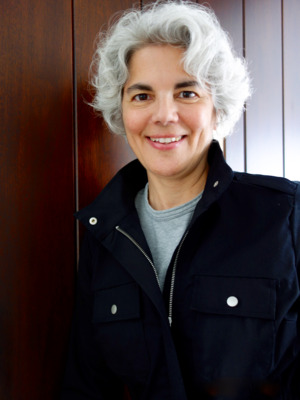 Maria Palazzi is Professor of Design and the director of the Advanced Computing Center for the Arts and Design (ACCAD) at The Ohio State University. In the Department of Design she teaches and advises in the MFA program. As director of the Center, Palazzi is responsible for fostering multidisciplinary research opportunities for graduate students and faculty in the evolving areas of computer animation, the arts, and technology. Palazzi’s creative research is focused on the conveyance of ideas and information using storytelling and the medium of computer-generated graphics and animation. Within this framework her work lies at the intersection of animation, visual communication, information design and computing. Her experience and expertise in design and the production of animation is closely integrated with her role as an educator within the context of a new media research center. As an educator she facilitates discipline-specific application while simultaneously engaging students in multidisciplinary research, learning and practice. Palazzi is the project leader and founder of ACCAD’s annual summer program Digital Animation: A Technology Mentoring Program for Young Women, an animation mentoring program for young women from Central Ohio. Palazzi's current creative research projects are a reenactment visualization for the OSU Police Department and a collaboration on Seeding Sullivant, a historical locative-based information app integrating virtual experiences. Recent creative research projects include Motion Bank: Two Project, the IMLS funded Jane, Diary of a Dinosaur with the Burpee Museum of Natural History, Rockford, IL, and Synchronous Objects for One Flat Thing, reproduced with renown choreographer William Forsythe and Professor Norah Zuniga Shaw of the OSU Department of Dance. Prior to joining OSU, Palazzi was a senior animator and director for Cranston/Csuri Productions, a pioneer in commercial applications of computer animation, Assistant Professor of Art at Rutgers University. She created and founded the computer animation BFA program at Ringling College of Art and Design and served as its Department Chair from 1991 - 2000. Palazzi's creative work has been recognized by the CLIO Awards, Communication Arts Interactive Annual, The Communicator Awards, I.D. Annual Design Review, the American Association of Museum’s Excellence in Exhibition Award and screened at ACM SIGGRAPH and international film festivals.